You must be a member of the Miami Fabulous 30s and 40s Group to attend this activity. Would you like to join this group? Let's enjoy the cooler weather of February which is perfect for bike riding. 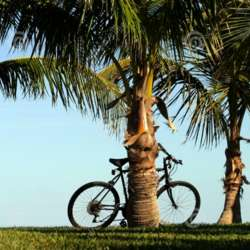 We will bike the boardwalk from 75th street to the pier at the end of Bal Harbour and back. We will have lunch in the area afterwards. - 11AM: Meet at the 75th Street parking lot (by the North Shore Branch Library). Bring your bike. If you do not have a bike you can rent one from the Citi Bike station there. Please note that this station only holds 7 bikes. - Ride to the end of Bal Harbour. Enjoy the scenery there. - Ride back and go for lunch.